Edited by Adrian Tierney-Jones, I provided a few of the contributions in this giant pictorial compendium of beer descriptions. Look for mine under Ethiopia and South Africa. Economic Representations: Academic and Everyday (Routledge, 2008). Edited by David Ruccio, this volume addressing “economic representations” has a chapter by me about globalization, the beer industry, and how craft brewing is re-localizing beer. Available from book sellers everywhere. Buy it from your favorite local bookstore or online retailer. Included on the “Things we like” list right next to Allen Ginsberg’s famous poem “Howl”! With equal pulls of humor and history, O’Brien toasts America’s dedicated good-beer activists who’ve battled the homogenized evil of ‘globeerization’ and brought ‘beerodiversity’ back to communities across our land. Pop a cool one, and enjoy this empowering and enlightening book. Fermenting Revolution is a lively, sometimes humorous, sometimes horrifying, and always illuminating tale. It’s a tale that needed to be told. As Chris says, “More so than ever before, the world today needs beer.” I’ll drink to that! Drinking beer may strike you as an odd way to save the world, but Chris O’Brien tells you how to do it with intelligence, humor, and style. Along the way, you’ll learn about 10,000 years of beer history as well as brewing and drinking lore from literally around the world. It’s a fresh look at man’s oldest beverage that will help you quench your thirst for social justice. The reaction against the corporate homogenization of the entire globe began, believe it or not, with beer. One of the few environmental and social indicators pointing in the right way is that the number of small breweries has exploded in the last couple of decades. Chris O’Brien tells this and many other stories in mellow and charming fashion; read it with a pint of something local in hand. Part history lesson, part political polemic, and wonderfully opinionated, Fermenting Revolution is a book destined to spark great philosophical conversations over chalices of real beer. It’s a book that will make you think about where your beer comes from, who made it, why it was made, where it fits into a healthy global society and what joys it can bring you and the people around you. O’Brien shows us why the unexamined beer is not worth drinking, but the examined beer can bring enlightenment. Reading this book is like one of those great beer drinking sessions with good friends where, at the end, you feel like you’ve solved all the world’s problems — and all it took was drinking local and organic beer! — Amelia Slayton, former Greenpeace Campaigner, and Founder of Seven Bridges Cooperative, the world’s only purveyor of all organic brewing supplies. Fermenting Revolution is full of surprising facts and provides a whole new perspective on the act of making and drinking beer. 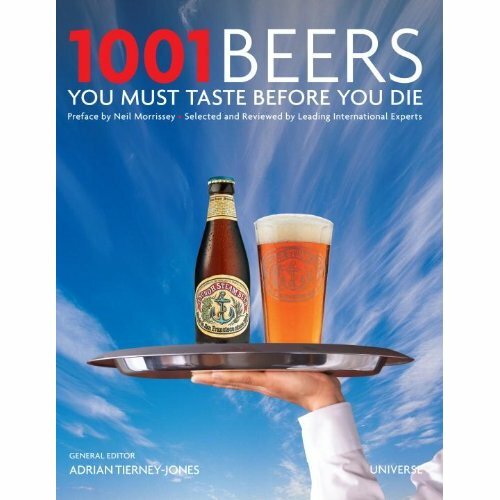 If you like beer, you’ll love this book. And if you want to save the planet, you’ll be glad to know the work starts and ends with beer. — Fran Korten, Publisher, YES! magazine. You don’t need to be an alumnus of the fraternity Tapa Kega Day to enjoy this funny and comprehensive book. It is the one book that will make you an expert on beer’s important role in history and its potential for social change today. A great read on the history of beer and how it has been an integral part of shaping the different cultures in the world. Chris raises the reader’s awareness of the modern day environmental, agriculture and social issues with facts, including how mass industrialization has taken the taste out of beer. Here is proof that running a sustainable brewery is necessary and profitable, and building our local economies will bring balance back to the world. Cheers to local craftbrewing and returning to being a localvore! Humor, history, and business savvy blends with a beer activist history so it’s hard to peg this title for any one section – it’s featured here because its strength is a coverage of the sustainability movement’s values and business interactions, which documents beer marketing, the evolution and growing strength of microbreweries, and their interactions with local communities. A fine survey of corporate and non-corporate powers and divisions makes for involving reading. Yeast is a fungus that feeds on sugars and produces alcohol and carbon dioxide as byproducts. This is the basic process of fermentation that produces alcohol. I describe the beer fermentation process a little more in depth in one of the chapters of my book. There is also plenty of more detailed info about yeast all over the web. As this blog is not really a technical brewing site, I’ll leave it at that. If there is something more specific you’re after, please feel free to ask. Im currently an MA student in Political Science. I was required to review a book for an environmental politics course, and getting tired of the ordinary depressing stories and stats of dooms day, I saw your book. I must say, the cover convinced me. Im totally hooked, I love the read, the writing style, and your approach to tackling corporatism and its impact on brewing techniques. Great, job. I’ve recommended it to all my friends, and actually purchased a few copies as Xmas gifts, they were well received. As an Assyrian/Babylonian, beer has been a vital component of my diet, well, since I was probably about 5. Its a customary and integral component of my modern culture, as it were for my ancestors. I look forward to reading future books! Thanks for the kind words Shamiran.